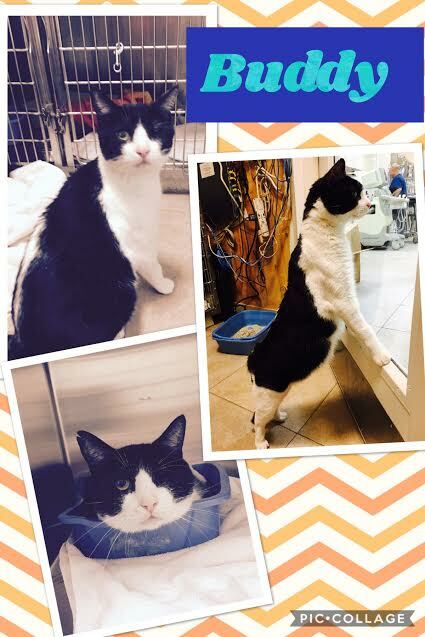 PURRRRR. . . . I’m ‘œBuddy’, a one-eyed super affectionate, calm, loving, and healthy 3 yr. old male. I recently arrived in Portland after being rescued in Miami, FL. My favorite things are to cuddle with you and purr, I am very playful and will entertain myself with almost any cat toy. Crawling up onto your lap and chest to get a ‘œhug’ always brings me joy. I love to be near you, but I’m also happy to find a quiet spot to cuddle up by myself when you’re busy. Although I’ve been told I have only one eye, and that my eye surgeries were successful, all I know is that I am as ‘œnormal’ as everyone else seeing is no problem and I don’t require any additional medication or treatments! I have been neutered and received all of my vaccinations, but I am FIV positive which means that I can lead a regular, healthy life; however; I need to live Indoors. PLEASE contact my foster parents to obtain more information and arrange to come meet me . . . I would love to meet you! !